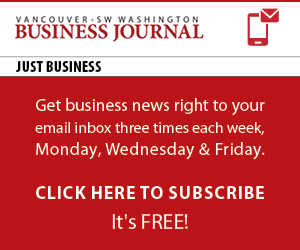 We’ve seen two regularly occurring themes in the Real Estate & Development section of the Vancouver Business Journal over the past couple of years. First, owning your business property versus leasing is an excellent way to protect and grow your wealth. Second, the impact of the Financial Tsunami of 2008 and subsequent Great Recession has presented business owners with a tremendous opportunity to own their business property with financial fundamentals that make long term sense. The decision to own should be driven by the kind of return you will get on the capital you allocate to the property, compared to the numerous alternatives you might find in other investment options. Could you expand, add new product lines or buy a second operation? Perhaps you could invest in stock of a start-up company, or hire an investment adviser to recommend stocks, bonds, mutual funds, exchange traded funds, currencies or bank CD’s; The options are many. I’ll preface it with the following disclaimer: there are many variables in every business and real estate transaction that can impact the overall return. These can include tax brackets, differences between lease rates and loan payments, and market conditions that impact your acquisition and disposition costs. This example does not try to take into account every one of those. In addition, I'll use two equity strategies in owning a property. One a traditional lender, using a formula of 75 percent loan to 25 percent capital contribution from the borrower, and a second that uses a 504 program loan from the Small Business Association (SBA), which requires only 10 percent down. We’ll look at a ten year time horizon, and assume the property is always worth the beginning loan value. You are not at the mercy of an emotional ride on the roller coaster stock market, a money mangers performance, or a Federal Reserve sustained artificially low interest rate policy. You can see, touch, manage and protect your asset as you see fit. Assuming a historical 3 percent inflation rate raises value of the property, those returns increase to 10.4 and 11.7 percent. This is a key financial strategy during inflationary times. Real estate costs are often the third or fourth most expensive P&L line item. You will gain a competitive advantage from this, either through grabbing market share because you can keep prices down, or by being more profitable. Selling your business may be part of your exit strategy, otherwise, you will have created an asset that can provide you a vary stable source of future income. Jim West is a commercial real estate broker with Coldwell Banker Commercial. He can be reached at jimw@cbcworldwidenw.com or 360.823.5109.